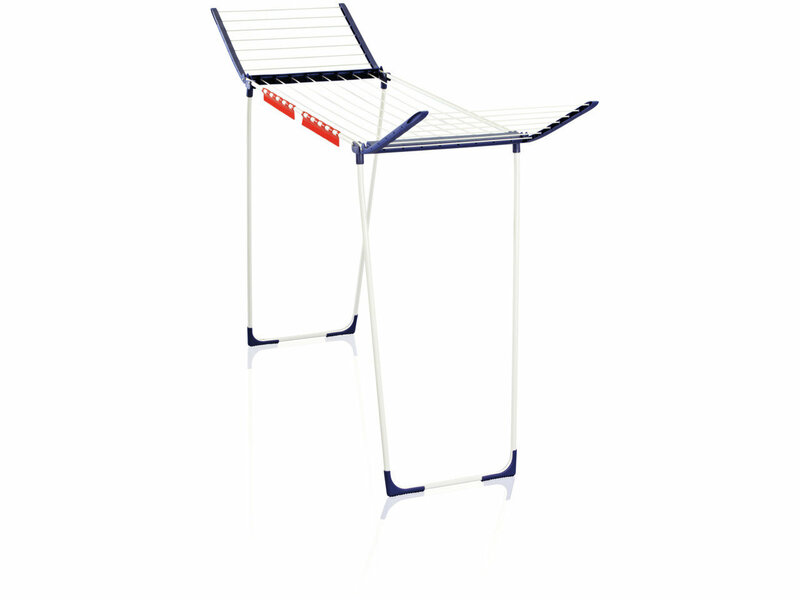 Long trousers or long dresses - it makes no difference: the Pegasus 180 MAXX winged laundry drying rack is the first dryer on which even XXL laundry can dry comfortably – without swishing on the floor and without creases from being pushed together. The MAXX offers an extra-large area in terms of both height and width. So it's not only long items of laundry that can be hung up with no contact with the floor; wide items of laundry will also fit on the 1.10 metre-long drying rods, or even several items next to one another. Even hanging them up is more convenient: the XXL height of 1.08 m is ideal for working upright and without causing back pain. Simply practical: with a width of just 55 cm the MAXX fits comfortably through every doorway. With its two fold-out wings and a drying length of 18 metres, the Pegasus 180 MAXX offers space for two washing machine loads. Two hangers for small items are included so you quickly hang up socks, briefs etc. and save space at the same time. With its powder-coated drying rods, the Pegasus 180 MAXX is suitable for both indoors and outdoors, where it will stand up securely even in windy conditions. 2 hangers included for small items such as socks, slips etc.